This could be the most spectacular photobomb ever to hit the internet. 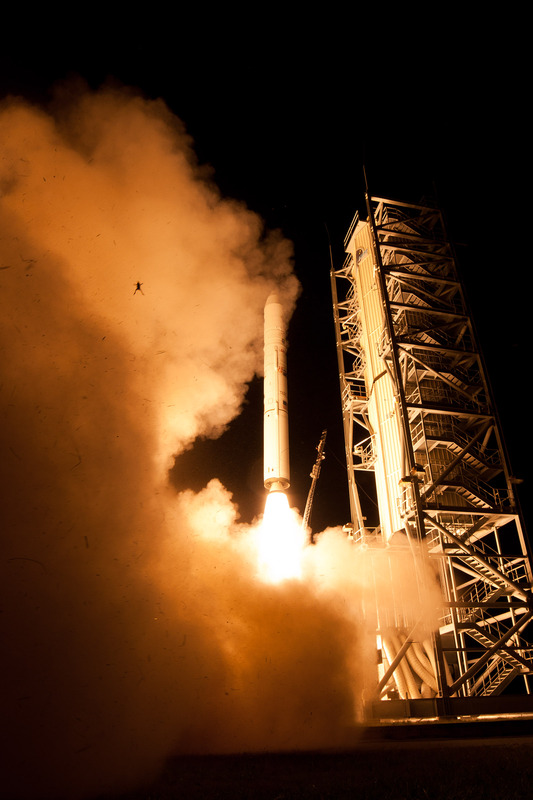 Clearly inspired by NASA's space-faring feats, this frog decides to take a giant leap of its own during last week's launch of the lunar probe LADEE in Virginia. Clearly startled (as you would expect) by the ignition of the Minotaur 5 rocket that launched LADEE on it's way to lunar orbit, the little frog does it's best to avoid the blast. Luckily for the frog it looks like it may have worked (although we have no way of confirming this), luckily for us his feats were captured by a NASA camera. This isn't the first critter to be spotted in and around NASA equipment. As you would expect, there are birds aplenty spotted during launches, but who can forget the famous Space Bat from 2009? Or how about the poor turkey vulture that collided with a rocket in mid-launch in 2010? No, animals enjoying rocket launches are quite common, but this latest example of extreme 'Frogger' is my new favourite. View the full image right here.